Have you ever scheduled a vacation and then realized that the hardest part of leaving is finding someone, or somewhere, to take care of your beloved pets while you’re away? In-home care can be expensive, and kennels can be…well, oppressive. Wouldn’t it be great to have a place in Galveston that caters to your pet in a safe, secure, clean, and enjoyable environment. Soon, you can relax on your vacation knowing your pet is on vacation too. BoneVoyage Pet Resort’s concept is simple. It’s to take care of people’s pets in a manner in which we would want our own animals cared for while we are away. In fact, the creation of BoneVoyage Pet Resort came from that same simple need; to know that your pets are in a safe, clean, spacious environment during your vacation, receiving attention and exercise under the watchful eyes of a competent staff and licensed veterinarian. But BoneVoyage Pet Resort said why stop there? Why not make it convenient to drop off and pick up during the vacation, so that people don't have the extra worry about the pets when trying to get to-and-from the cruise ships in Galveston. Located on the way to the parking areas, BoneVoyage Pet Resort will have convenient hours timed with ship departures and returns, making drop-off and pick-up a breeze. Training, grooming, and rehabilitative services will also be available at the facility for pets requiring additional services during their stay. Premium foods and supplies will be offered on-site for owners to pick up on their way in-or-out of town. Doggie daycare services will be available for persons working in and around the island—It’s imperative to know you pet is safe while you are at work, and let's face it…day-care is cheaper than replacing shoes or cleaning carpets! BoneVoyage is located at 6928 Harborside Drive on the way to UTMB. BoneVoyage is a thought that has become a reality. 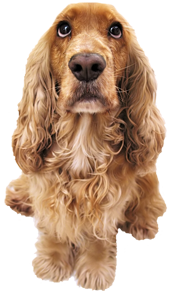 BoneVoyage Pet Resort is proud to serve the Galveston, TX area for everything pet-related. Our resort is owned by Dr. Casey Brechtel, who is a licensed, Galveston veterinarian that practices complimentary veterinary medicine.